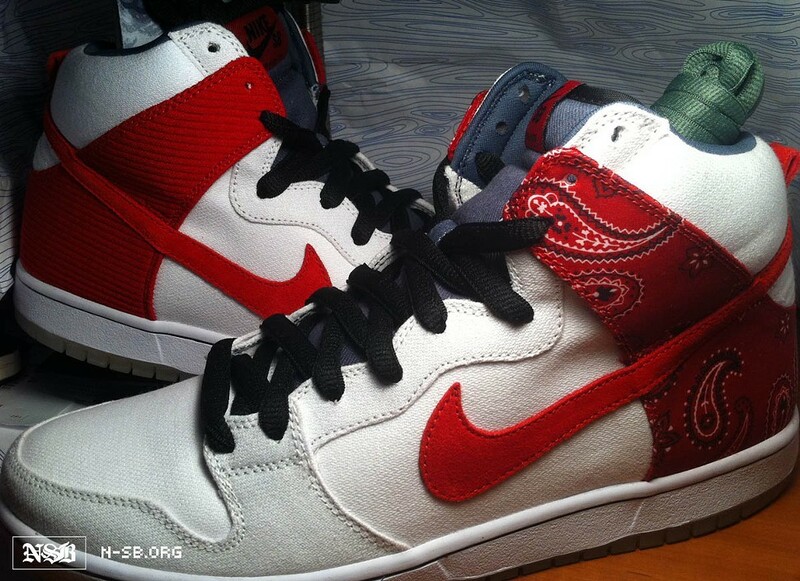 Behold below: Nike's alleged 2011 4/20 Dunks by skateboard artist Todd Bratrud. Sneakers have become the 'collectible commemorative plates' of the hip-hop generation, and this year's run of 1,000 special edition 4/20 high top basketball shoes or “Dunks” is reportedly inspired by Cheech & Chong. Sneakerhead website SoleCollector.com reported March 26th that the Chong Dunks follow last year's “Skunk” Dunks released on April 20th, the quasi-official marijuana counterpart to alcohol's St. Patrick's Day. Here's your headlines: 1) Snoop Dogg and Warren G attend service for Nate Dogg. 2) Whoopi Goldberg regrets accepting the Oscar for Ghost high. 3) Crass videogame of the year: "Call of Juarez: the Cartel" will come out first as a free demo. 4) All of Radiohead's The King of Limbs is legally streaming. The 'head is also putting out a newspaper this week. 70.6% were arrested for new crime within 3 years of release. 45.8% were adjudicated (or brought to court) for a new crime within 2 years. 24.0% were convicted for a new crime within one year. 8.0% were reincarcerated (i.e. placed in jail or prison) following a conviction on a new crime within 6 months. 27.8% were convicted of a new crime and placed in prison within 3 years. Here's your headlines: 1) Snoop has mad new tracks. 2) Dr. Dre won a victory for citizen's rights. 3) An update on the medical marijuana dispensary banking crisis. NBA Baller Cuttino Mobley Assists Rhode Island "Compassion Center"
The Rhode Island Department of Health awarded three historic permits to operate dual farm/stores in the state this week. Among one of the winners: former Los Angeles Clipper Cuttino Mobley. Mobley put up $4 million in funding for the Summit Medical Compassion Center, Inc. which will open in Warwick in September and is expected to eventually serve 4,500 patients and bring in $24.7 million in yearly revenue. Here's your headlines: 1) RadioDOOM? Thom Yorke and America's Most Blunted on the map, DOOM, join forces. 2) Pot prices nationwide drop as schwag makes a comeback. 3) And sexism in the marijuana trade? Today, the Legalization Nation print column reported on a new study, co-authored by the independent think tank RAND Corporation, which analyzed just who is getting medical marijuana recommendations in California. The paper's primary author, Dr. Helen Nunberg of the RAND Corporation, as well as researcher Amanda Reiman, say the data shine a rare light on a severely under-researched (and often maligned) population. Follow the jump to download the study and read it yourself. Here's the roundup: 1) "Psychedelic icon Owsley Stanley dies in Australia": "After a marijuana bust in 1970, he went to prison for two years." — Reuters. 2) Download Wiz Khalifa's “The Race” — MP3Waxx.com. 1) More on SF's allegedly dirty drug cops. 2) On the East Coast, the gal who played the character "Snoop" in The Wire will play "Felicia Pearson" in real life, arrested on weed and heroin dealing. 3) Did you hear about the "watchgator" guarding pot in Hemet? They should team up with the watchbears. When did the Bay Area turn into The Shield? 1) Drug cops arrested on charges of dirty dealings dominate the Chronicle today. First, fallout at the DA's office from San Francisco drug cops in hot water. And more arrests from the roll-up of a Contra Costa County narcotics commander arrested for dealing weed, speed, and 'roids. This new arrest appears to be a variation on the cash for kids story of February 22. More greed after the jump.